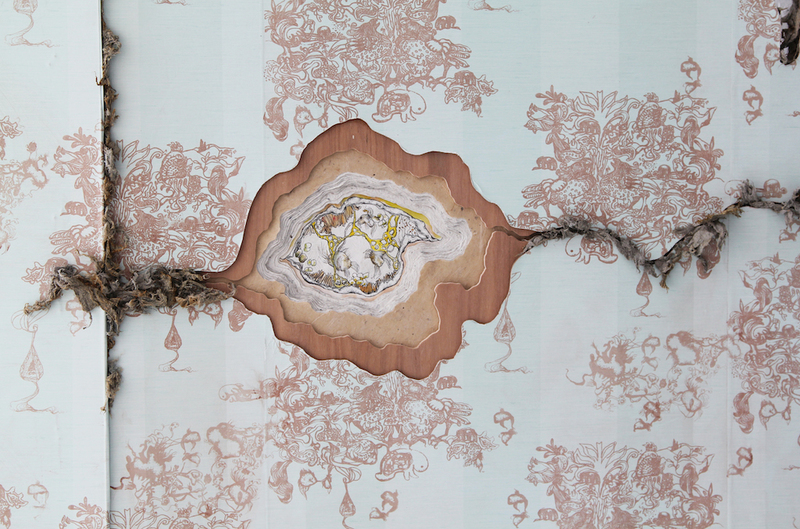 Handprinted wallpaper installation from original drawing. Waterbased ink, handmade washi, handmade paper from recycled newspaper, tea dyed denim paper pulp, Masonite, moulding. L 190cm X H 240cm ( or variable) x 4cm.